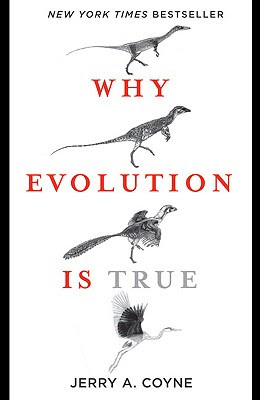 I have just finished reading Jerry Coyne's latest book, Why Evolution Is True. Jerry is one of the world's most famous living evolutionary biologists, and an expert on speciation. This book collects a fair amount of evidence for the fact of evolution (i.e., that evolution has occurred), and spares us from most of the intricacies of the theory of evolution (i.e., the details of how it proceeds). It's an easy piece to read, and lays out very convincing evidence for those who are amenable to such (as he recounts towards the end, not all people are). In a little over 200 pages he describes evidence from paleontology, embryology, and biogeography, and evidence for natural selection, sexual selection, speciation, and human evolution. If you haven't decided what to believe in terms of evolution, this book is for you. Coyne is, famously, an advocate of the primacy of natural selection in evolution, in addition to being of the observation "that the biological species concept is the way to go, that allopatric speciation is the dominant mode of formation of new species, and that the Modern Synthesis of the 1930s and '40s is an adequate framework for evolutionary theory". [Source of quote, but do read Speciation by Coyne and Orr*, if you must see for yourself.] I largely agree on the point of natural selection, that it is the only driver of adaptation (I am not a big believer in neutral theory having much to say about adaptation). However, in this book aimed at an audience outside of academia (as opposed to Speciation), I am not so happy with some of chapter 5 - The Engine of Evolution. That "engine" is natural selection, and on several occasions he attributes selection with the power to build complex biological systems. "Has there really been enough time for natural selection to create both complex adaptations as well as the diversity of livings forms? ", he asks on page 140, and goes on to explain that there has. If he had said "evolution" instead of natural selection, then I would have been all for it, but it is as if Coyne assumes that there is no problem generating all the needed genetic variation for selection to act on, and that is not true. That must also be explained, and he skirts the issue entirely. Natural selection has the power to promote or suppress novel genetic changes in a population. However, within a population, natural selection only diminishes the amount of genetic variation, by selection of (for?) genotypes and phenotypes that produces more offspring, because of some adaptation produced in the first place by mutations (I count any genetic change as a 'mutation'). In this sense natural selection is only half the story, and by my reckoning the most trivial and therefore least interesting part of the story of how to build complexity. Adaptations are not "built by selection" (page 137), but by mutations and selection together. One or two mutations here, then selection for those, then a couple more mutations, and more selection, more mutations, and finally selection can ensure that a new trait goes to fixation (everyone in the population shares the new trait). A second point of dissatisfaction is that Coyne has elected not to talk about the great abundance of molecular evidence for evolution. [This is not true. See important update below.] The book has next to nothing in molecular evolution. He could, for example, well have included a discussion of the story of the fusing of two chimpanzee chromosomes to create human chromosome 2 (humans is the only ape with 23 pairs of chromosomes, the other all have 24). [Incidentally, that Wikipedia page contains a clueless comment stating that this fusion cannot be used as evidence for evolution. 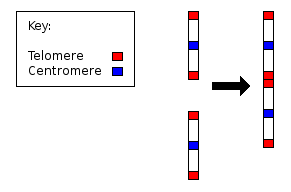 Contrary to what it says, it indeed can, because when it was found that humans have one chromosome less than the other apes, that presented a bit of a problem for the idea of common descent, but it was eventually resolved when it was discovered that human chromosome 2 contains all the genes of the two chimp chromosomes in addition to telomeres in the middle of the chromosome!] If he didn't like that story, there are a plethora of other ones to choose from. And he knows this, which is why I wonder why he didn't. A 1.5 percent difference in protein coding sequence mean that when we line up the same protein (say, hemoglobin) of humans and chimps, on average we'll see a difference at just one out of every hundred amino acids. [Because about three quarters of substitutions change the amino acid, while the rest - the synonymous substitutions - do not.] 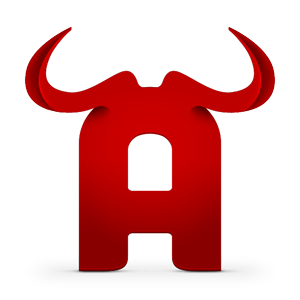 But proteins are typically composed of several hundred amino acids. So a 1.5 percent difference in a protein three hundred amino acids long translates into about four differences in the total protein sequence. [Given that 74.3% of all nucleotide substitutions are synonymous, I think that number should be 0.743*0.015*300=3.34, though.] That oft quoted 1.5 percent difference between ourselves and chimps, then, is really larger than it looks: a lot more than 1.5 percent of our proteins will differ by at least one amino acid from the sequence in chimps. And since proteins are essential for building and maintaining our bodies, a single difference can have substantial effects. Point taken. Even though not all amino acid changes make much difference for the function of the protein - the functional sites of proteins are often a small fraction of its entire length, and the rest of the amino acids are somewhat less constrained (but rarely totally so) - so that the number of proteins with a changed function will be smaller by some number, it had previously not dawned upon me that the King and Wilson estimate made humans and chimp that different. The argument being a quantitative estimate, I still don't really know how different the actual proteins of humans and chimp are†, but I am nevertheless now more open to the possibility that the obvious morphological differences between us that I observe when I go to the zoo have something to do with differences in the proteins, and not only in how the genes that produce the proteins are regulated. In fact, one of my earliest insights when I just entered biology in 2003 (I studied physics first) was that gene expression was of such importance that all developmental, morphological, and physiological differences could be explained by changes in the part of the genome that regulates expression of genes (e.g., same protein for making hair, but turned on less in humans, and same proteins for making the skeleton, but in different patterns). While I knew that there are differences in some proteins between the two of us, my point was that changes in gene expression was potentially waaay more powerful to make actual changes in evolution. Now I'm not so sure. 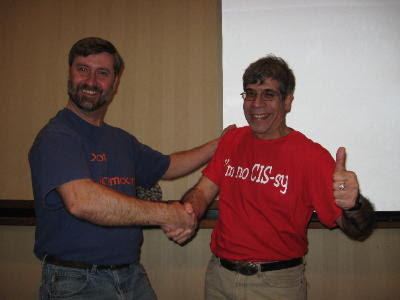 I do recall, however, a great picture of Coyne and Greg Wray shaking hands after having debated the relative importance of exon vs. cis-regulatory changes (i.e., changes in protein coding sequence vs. changes in gene regulatory sequences), and reading somewhere an estimate that two thirds of evolution is regulatory, and one third exonic (but don't quote me on that). Greg Wray and Jerry Coyne leaves their scientific differences aside for just long enough for someone to take a picture of them striking these adorable poses. In summary, even though I have presented two points which upset me, I highly recommend this book. It's boring to talk much about the points we agree on, which in this case is the rest of the book. If you read only one book on science this year, let this be the one™. * Incidentally, when he came to visit MSU last week, I spoke with H. Allen Orr about their fondness of the Biological Species Concept. My view is that species is a real(ly useful) concept, but that several definitions are all sufficient criteria for determining whether a population is a separate species or not. Orr of course agreed that the BSC doesn't always apply (say, to asexual species like bacteria), but that for sexual species it is more than just one way of looking at it. In the talk he gave he presented evidence for post-zygotic reproductive isolation in Drosophila which is thought to have led to a speciation event, thus supporting the notion that speciation is caused by reproductive isolation, rather than being a side-effect. † In the paragraph after that one, Coyne writes that it is now known that about 80% of the genes shared differ by at least one amino acid. However, how big the effects of those difference are is harder to get at. 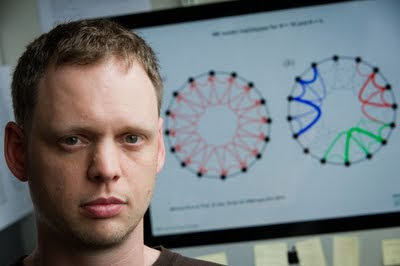 Coyne has pointed out in an email that he did write about pesudogenes, for an example of evidence from molecular evolution. Pseudogenes are defunct genes. Our understanding is that they used to have a function like other genes, but now are no longer expressed. Loss of expression can happen when mutations cause changes in gene regulation, or when mutations create stop-codons in the protein coding sequence. The model/theory we have of evolution and molecular biology predicts that genomes should be more or less full of pseudogenes. And the evolutionary prediction that we'll find pseudogenes has been fulfilled - amply. Virtually every species harbors dead genes, many of them still active in its relatives. This implies that those genes were also active in a common ancestor, and were killed off in some descendants but not in others, Out of about thirty thousand genes, for example, we humans carry more than two thousand pseudogenes. Our genome - and that of other species - are truly well populated graveyards of dead genes. (Page 67.) Coyne then goes on to discuss some human pseudogenes: GLO (used to make vitamin C) and olfactory receptor genes (some of our ancestors had a much better sense of smell than we do). Wikipedia is, as they say, the free encyclopedia that anyone can edit. I added a  tag after the first statement that says it cannot be used as evidence for common descent. I would go further, but IANAEvolutionary biologist, so it is hard to know where to draw the line. What really troubles me about that paragraph is that it smells like original research, which is prohibited by Wikipedia. I citation is given for the idea that the fusion is evidence of common descent, then follows a citationless argument that it is not. If a cited view is going to be discarded, the consensus view must be heavily cited and it is not in this case. Thanks James. I'm not inclined to start adding anything to that particular page, not being qualified. Perhaps someone else reading this will take up the torch. But I'll keep in mind who to go to if I want to start editing something else.